You go to Starbucks and they are using the holiday cups! Love these things - they really do kick off the season even though you don't feel like your even in the season yet? I've started to get some of my shopping done - I'm actually doing pretty good on my gift list. But still as I walk through the store I think what's missing? I remember a certain feeling you would get when the holidays approached, was it just as a kid, or was it when my kids were littler and believed in Santa? 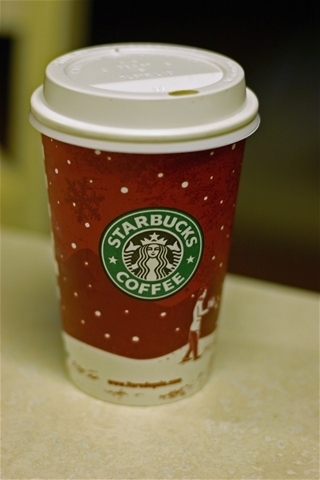 Ahh, back to the holiday cups at Starbucks... I love them!